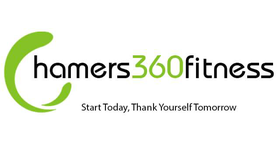 At hamers360fitness our boot camps sessions are currently held at our new personal training studio, located just opposite the fire station in Rawtenstall, just off the roundabout. Our boot camps are easily accessible and perfect for anyone looking to get fit living near Waterfoot or in the surrounding areas, such as Rawtenstall, Stacksteads, Bacup or even Haslingden. If you're stuck in a rut at your local gym doing the same stuff day in, day out, bootcamp sessions could be just what you're looking for. They are a fantastic way of building your stamina, developing your confidence, supporting weight loss efforts, toning up those stubborn areas and could help you achieve your goals quicker. Boot camps are suitable for all abilities and courses can be adjusted to suit you.